Unfortunately, crime rates have picked up due to the recent recession. You see many people admitting, ” My phone is stolen “. If such a thing happens to you, you should try not to panic. Staying calm and taking adequate measures for its retrieval is certainly the most effective approach in such cases. Try to alert the people around you as soon as you find out that your mobile phone is missing. They may have seen the person who picked your device and may be able to identify him/her. This is certainly useful information to have. Check to see if there are any CCTV cameras which may have recorded the theft of your phone. Typically, there is CCTV not only in stores and public transport stations. The police use cameras to monitor the roads and streets so there is a pretty good chance that the crime against your property has been recorded. Call the police right after the accident. It is essential to report the crime as this increases the chances of the phone’s retrieval considerably. Besides, you will need a crime number for insurance purposes and for the deactivation of your SIM card by the telecommunications company, whose services you are using. Instead of asking, “My phone has been stolen – what can I do?” go to the nearest police station and report the theft. It will help immensely if you provide exact details on the time and location of the theft plus a description of the thief. You should also describe the location of a CCTV camera which may have recorded the accident. Word of caution. You should always be careful when you confront the person who you know has stolen your phone. Send an SMS to the lost stolen phone offering a reward. This is how to find a lost phone if you have no other means to track it. Call your mobile service provider and let them know about the situation. They may be able to lock your SIM card and perhaps send you a new one. If you had open access to your email and other applications where you stored sensitive data such as passwords, credit card details etc. make sure these are changed. Inform your close ones of the theft. Detective move: Log in to your carrier’s online account and check out the latest calls that have been made using your stolen phone. What you are going to do now is to dial the most recently called number from your stolen phone call list and say that you have found their friend’s mobile phone, and his/her number was the last on the recent call list. Yup, you read it right. Hopefully the friend won’t know it’s a stolen device, and will give you his/her contact details. My phone is stolen. Most people blame their bad luck for the accident. However, there are various preventive measures which you can take. These involve not only keeping your phone in a safe compartment of your purse or in the inner pocket of your jacket. In order to improve your chances to track your stolen phone, write down the unique identification number of your mobile device and keep the note in a safe place, preferably in your home. 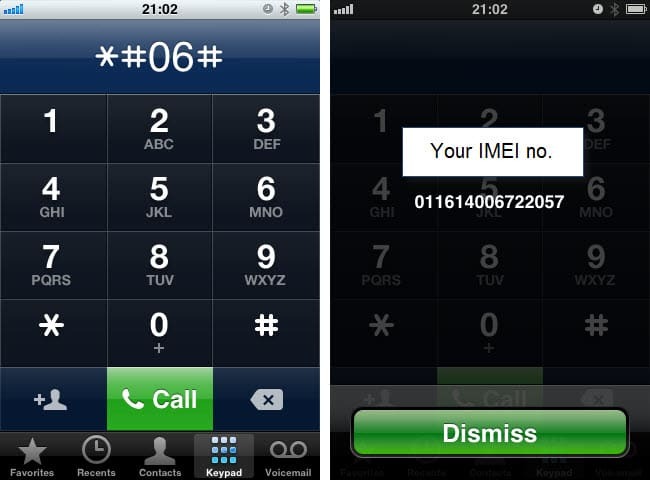 Your phone may have either an ESN, MEID or IMEI number. It is written on a sticker inside the device. The sticker is typically on the inner part of the front panel behind the battery. Tip! If you do not have this sticker (e.g. on your latest smartphone) dial *#06# without any spaces. 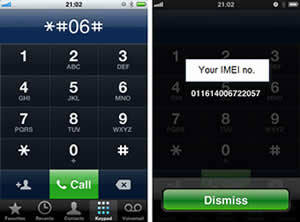 Your IMEI number will show up on the screen. Note it down or take a screenshot on your smartphone and save it. You need to provide the identification number to the police when you report the theft of your phone. In this way, they will be able to give it back to you if they find it. Also, do not forget to password lock your phone, both locking the SIM via four-digit-PIN code as well as locking the actual device (if available). Use a mobile phone tracker service in case of theft. That way, you will never have to ask, “My phone was stolen – what can I do?” You will have to sign up for the service in advance. You cannot activate it if your phone is not with you. In general, this is an effective measure because it makes the automatic tracking of the device possible. You just need to report the location to the police and let them take care of the rest. Of course, you can always track and get your mobile yourself, but this may be quite dangerous. For smartphones, there are plenty of tracing apps which you can use. Most of these mobile phone tracker apps are designed to activate the GPS inside the device, which is perfect for a situation when the phone get’s stolen. Then the location coordinates are provided to you. You will be able to see your phone’s location on a map or get a message with the location details. Not all apps for tracing stolen phones are created equal, however. With some, you have to activate the GPS on your phone yourself by sending a text message or an email. This may be useful if the phone is simply lost, but when it is in the hands of a criminal, they can easily get alerted by the message and prevent the retrieval of the device. What service/app works to retrieve a stolen phone, irrespective what model it is? What happens if I don’t have the latest smartphone so I can download an app? For all types of phones, there are a handful GSM mobile phone tracker service in the UK. They all use the same network-based technology for tracking mobile phones. Your phone emits signals which are picked up by the mobile network’s transmission towers, which emit a signal as well. This makes it possible to pinpoint the approximate position of any phone. The technology interpolates the signals from different towers to identify the location of the device. Once authorisation is received from the mobile phone being tracked, there is no need to send a text message to track. It is automatic from the moment one authorises the phone. The network-based mobile tracking method has a high level of accuracy, especially in cities where there are many transmission towers located close to one another, while accuracy can go down considerably in less densely populated areas. Since theft is more likely to occur in a busy city location, the chances of retrieval are automatically increased. If such a misfortune happens to you, you will be able to trace your mobile immediately and find it in no time, even if your GPS is not turned on (a requirement if you have a tracking app). Bear in mind, the system tracks your SIM card, not the actual phone, and for tracking to work the phone needs to be switched on and emit signals. You can always see the most recent location of the phone, in the case the phone is turned off or the batteries depleted. Such services as Lociloci in the UK do exactly that and are very simple to use. You just have to create an account on the official website, authorise your phone and subscribe to the service for a small monthly fee. From then on, you just need to log on to the website and click on your marker to locate your device, if it has gone missing. You can log on from any computer, tablet or smartphone with an internet connection. The security of your personal information and of your location data is guaranteed by the highest level of encryption available for commercial use. My phone was stolen – what can I do? Now you know exactly what advance measures you can take and what you have to do in case such a misfortune happens to you. Do everything possible to protect your device and the information on it. Make sure that you will be able to locate your phone easily, quickly and accurately in case of theft. In the next article we will be reviewing the perfect apps for recovering your stolen phone before it goes missing, for most platforms such as iPhone, Android, Windows Phone, Blackberry and even those apps or services that support all platforms. My phone was stolen and i have some very important thingss on there please help me. my phone was lost or stolen on Monday night. but its still ringing out? I have been given a reference number by the police but the last date it was tracked was on 16th, is this the last time it was used? My wife bought a Galaxy Note 3 N9005 through Amazon UK for our close Family friend over in Austria. and sent it via Parcel Force on the 20 June 2014 at 1400 by 2246 it arrived at the International HUB in Coventry on the same day…….that was the last scan entry. Its now coming up to 14 days and parcel Force can not locate the parcel……..basically somebody has nick it. And guess what the police cannot not do anything about it. So anybody reading this dont use Parcel Force. I’ve lost my phone and I really need Would you be able to track it? Hi, I lost my phone in taxi at Birmingham. IMEI no is – 355136052075432. I think the phone is switched off due to battery drain. Please help me track the phone. Please confirm on my email id once you got it. thanks ! I lost my htc desire c how can i get it back? Can u track my stolen phone’s location? If u can , please help me to get back..
mines 07493981798. Has a few important documents on it from work and my boss will decapitate me if he finds out they’re on the loose.